Earlier this month, the Missile Defense Advocacy Alliance had the privilege of attending a reception onboard the HDMS Peter Willemoes (F362) as it visited Baltimore. The ship, which reached Full Operational Capability (FOC) in 2014, is one of three Iver Huitfeldt-class frigates operated by the Royal Danish Navy. The vessel is sleek and modern inside and out and includes a few surprises such as artwork and (relatively) spacious living quarters for its lean crew of 117 sailors. Another aspect of the ship that is remarkably lean is the $325 million price tag, which is quite an accomplishment in modern shipbuilding. In addition to its appealing aesthetics, Peter Willemoes also boasts impressive technology that may one day play a part in the NATO ballistic missile defense system. The Peter Willemoes was designed to carry out Denmark’s air defense mission. It’s fitted with a very capable Signal Multi-Beam Acquisition Radar for Targeting (SMART-L) produced by Thales Naval Nederland. The three SMART-L radars onboard each of the Iver Huitfeldt-class frigates are powerful enough to cover the entirety of Denmark’s territory. The sensor is designed to detect conventional aircraft and small “stealth” missiles, however upgrades to SMART-L’s software allows for the system to be optimized for early detection of ballistic missiles. The ship is also equipped with Lockheed Martin’s MK 41 strike version vertical launch system (VLS) which can operate a variety of missile systems like the SM-2 Block IIIA and Evolved Sea Sparrow Missiles for air defense. In addition, the MK 41 Launcher, also found on U.S. Aegis BMD ships, is capable of firing ballistic missile interceptors such as the SM-3. This capability coupled with an upgraded radar could one day make for a very formidable ballistic missile defense ship to help share the burden with American Aegis BMD ships deployed to Rota, Spain as part of the NATO BMD mission. While the Iver Huitfeldt frigates and the technology onboard are new, Denmark’s role in monitoring the skies for missiles is not. A 1951 agreement between the United States and Denmark carved the way for establishing the Thule Air Force Base in Greenland and the subsequent construction of an Early Warning Radar System. Denmark’s most recent contribution to NATO missile defense was announced in August of 2014 by then Foreign Minister Martin Lidegaard. As part of the arrangement, Denmark intends to contribute at least one frigate outfitted with a radar system to the NATO BMD mission. Denmark’s announcement did not go unnoticed by Russia, which has long opposed NATO’s missile shield. Although Denmark offered reassurances that its radar contributions would not be directed at Russia’s strategic deterrent, Mikhail Vanin who is Moscow’s ambassador to Copenhagen, warned against proceeding saying “if it happens, then Danish warships will be targets for Russia’s nuclear weapons.” Despite Russia’s unusual diplomatic move, Denmark has remained committed to joining the NATO BMD architecture. 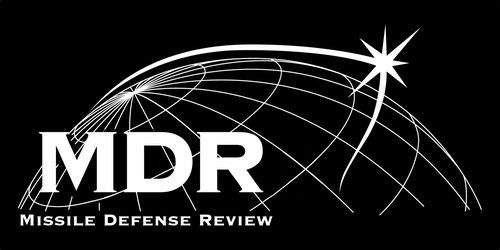 Earlier this year, Denmark made additional progress toward joining the NATO BMD system after its Acquisition and Logistics Organization completed an agreement with Danish firm Terma to deliver research and advisory support within the BMD and Integrated Air and Missile Defense (IAMD) domains. The ballistic missile threat the NATO alliance faces will only continue to grow in quantity and sophistication. While U.S. contributions remain vital to the missile defense mission in Europe, Washington cannot address this issue alone. Several NATO allies currently cooperate with the U.S. on land and sea based intercept and sensor systems. Recognizing the growing threat, other countries such as Poland and Germany are in the process of purchasing their own BMD capability with MEADS and Patriot both in consideration. Given the demand for BMD capabilities around the world, additional cooperation to help alleviate the strain on currently available systems is essential. The success of NATO’s future missile defense efforts requires additional countries to follow Denmark’s outstanding example of leadership and fortitude on this effort. Additional NATO members must consider volunteering new capabilities to better defend Europe against an increasingly prolific missile threat. This article originally appeared at realcleardefense.com. This entry was posted in Aegis, Europe, European Phased Adaptive Approach, NATO. Bookmark the permalink.